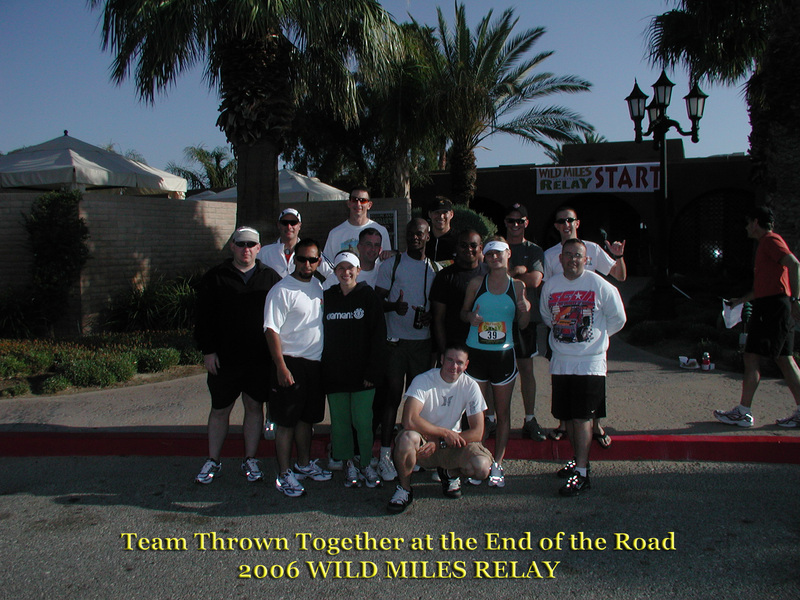 The Wild Miles Relay is the legendary 183-mile non-stop team relay race located in San Diego County of California. Beginning at Borrego Springs, the relay race winds its way around ANZA-Borrego Desert State Park and Cleveland National Forest before ending at Pine Valley, California. Over its 183 miles, the course sees elevation changes ranging from the desert floor in Borrego Springs to 4200 ft. elevation. The relay can be run by either five-person or ten-person teams. 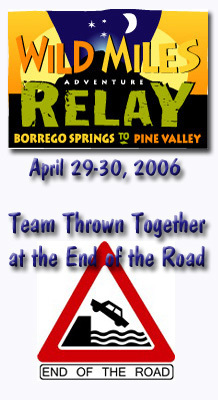 Team Thrown Together at the End of the Road is a ten-person team that eventually formed from the merging of two incomplete teams and assorted zany characters. Captained by Caleb Eames, the team began their experience at approximately 8:00 am (Pacific Time) from Borrego Springs on Saturday, April 29 and continued - non-stop - into Sunday, April 30 where they celebrated the conclusion of their experience at Pine Valley. 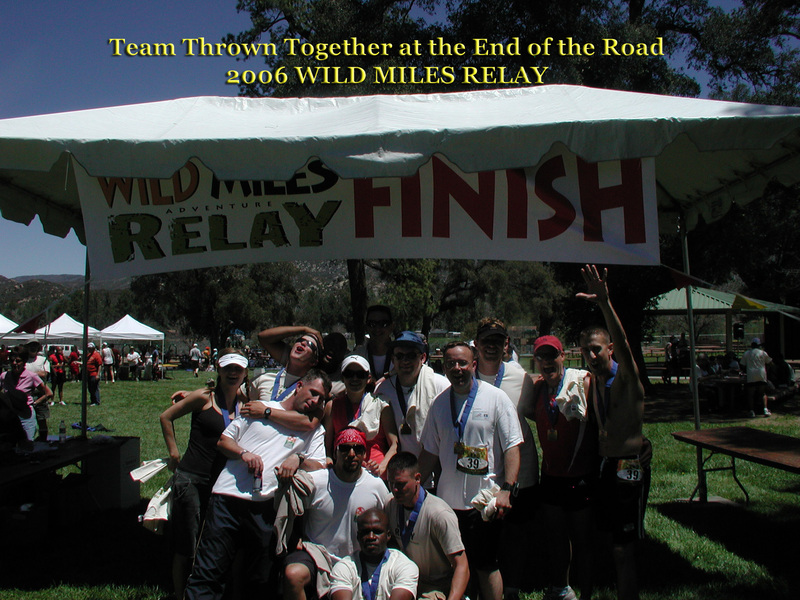 It is this website that records their gauntlet and adventure in the April 2006 Wild Miles Relay.